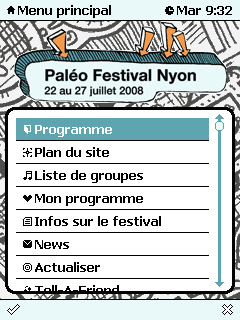 Paleo Music Festival just released a mobile guide with full of informations (programm, news, infos, maps,…). The guide is a standalone application in Symbian done by Minick wich had done the guide for the Euro 2008 if I am not mistaken. More screenshots on my Flickr.